Message boards, more so than Twitter, Facebook, or the comments section of any reputable online news outlet, act as the connective tissue for the video game community. Built primarily for desktop browsers, they provide an open space to discuss the latest issues, releases and announcements. Too often though, the experience on a mobile device is atrocious. Many message boards weren’t conceived with smartphones or tablets in mind, and this shows in their archaic or uninspiring designs. 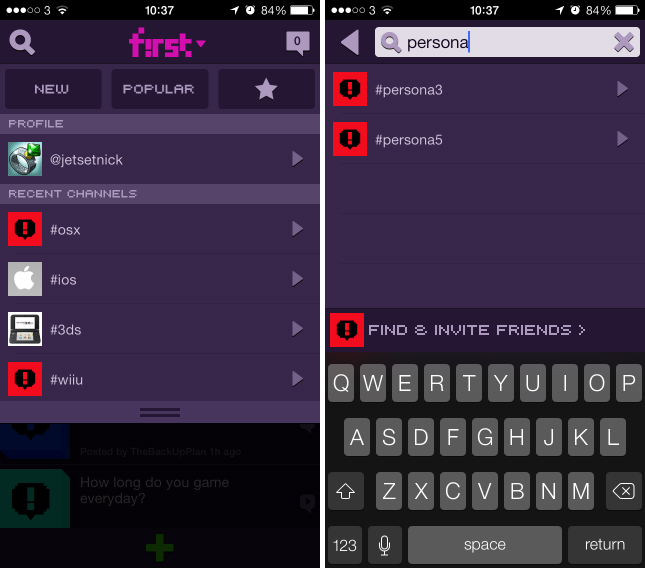 To fix the problem, developer Red Robots Labs has developed a new community app for Android and iOS called First. First is built around real-time conversations. Just like a traditional message board, it’s possible for anyone in the community to start a video game-related thread by posting either a headline, photo, URL or YouTube clip. 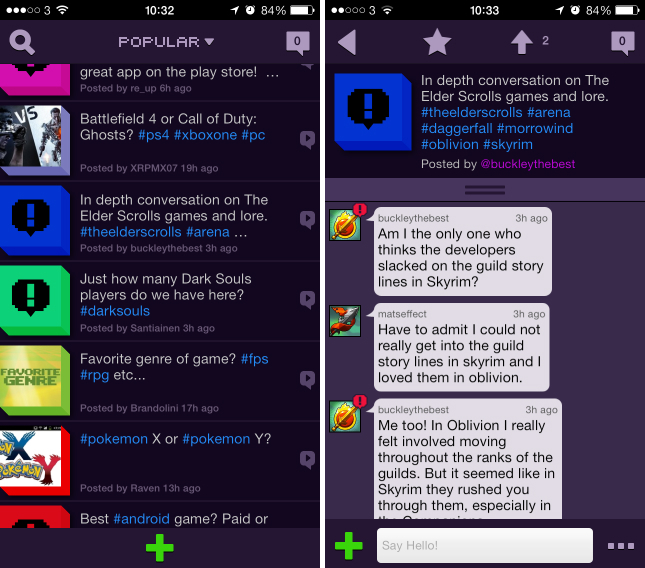 The post will then appear within the app for other users to read and comment on. Responses can be text-only or include photos and URLs; as soon as you hit publish, they’ll appear underneath in a chat bubble, similar to the conversation trees found in any modern mobile messaging app. The advantage here is that all of the discussion is kept in a single repository. Twitter is a popular platform for discussing video games, but it can be difficult to discover and keep up with the debate. If you’re not following the user that sent the original tweet, you’re likely to miss the conversation altogether. Using the drop-down menu at the top of the home screen, it’s possible to filter the available threads by what’s popular and specific hardware platforms, such as the upcoming PlayStation 4 or Xbox One. It’s the equivalent of message board sub-categories and for the most part, First organizes them very well. There’s also the option to search for specific topics and users, which is a must-have feature for any connected community these days. Every user is assigned a handle and profile page, where they can choose an avatar and cover picture. You can’t upload your own images at the moment – a huge omission, given how important personalization has become on message boards – but the app’s own offerings are pleasant enough. First also offers a solid notification system so that you can reply to other users and keep up with the latest comments in your favorite threads. 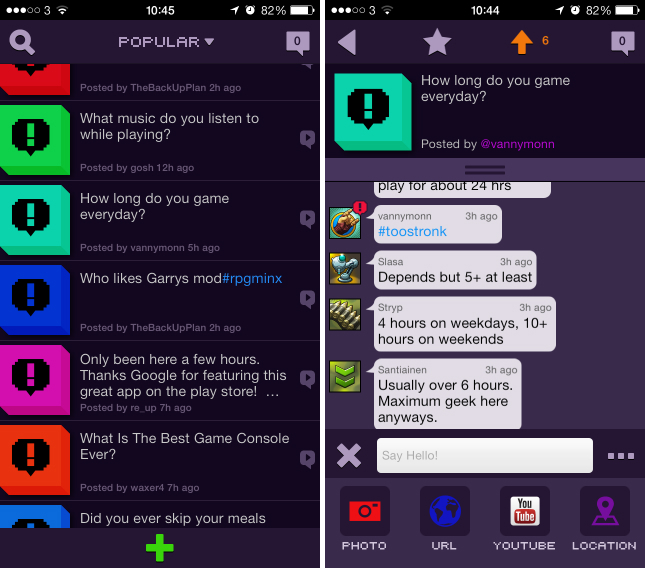 A sidebar located on the right-hand side of the app will alert you when other users post in the same thread or reply directly to one of your comments. Likewise, if you decide to subscribe to a specific user First will offer notifications based on how they interact within the community. 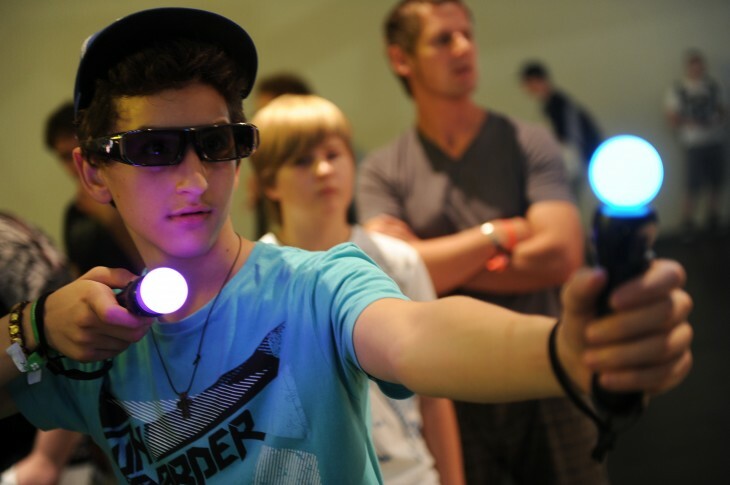 Many companies have tried to create a ‘Facebook for gamers’ on the Web. They almost always fail because Facebook already exists and message boards have prevailed as the default way of discussing the video game industry with strangers. First is different though. It’s managed to successfully recreate the message board experience in a native app designed from the ground up for mobile use. The app’s design isn’t going to blow you away; while the 8-bit aesthetic will appeal to gamers, the threads themselves look a little archaic. Regardless, it’s the core functionality that really shines through here. 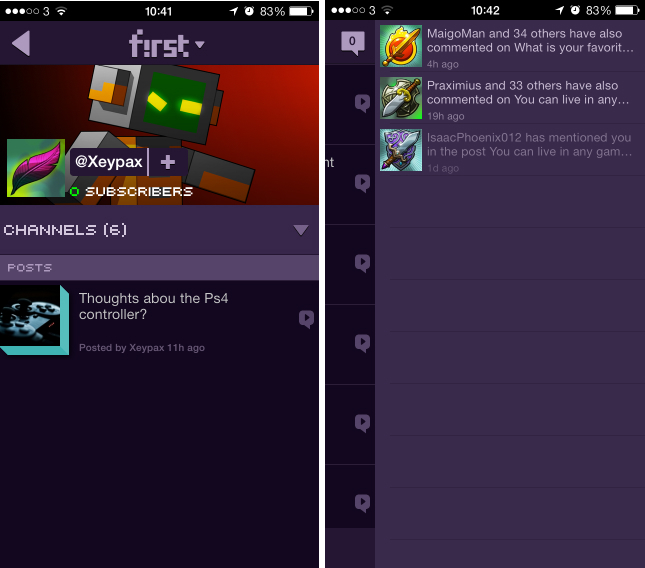 If you want to connect with like-minded gamers from your smartphone, First could soon replace Twitter and browser-based forums as your first port of call.